Africa’s start-ups are seizing an opportunity they say Google and Apple have missed — making apps for non-smartphones. In a region where the average customer doesn’t own a smartphone or a bank card, hundreds of millions of people do use some kind of basic phone. That’s prompting developers to build no-frills text-based apps, keeping data consumption down and catering to specific local needs of farmers, merchants and small business owners. Orange recently set up a development lab in Cameroon, after opening similar hubs in Ivory Coast and Senegal in the past year. The French mobile company is due to detail its plans to grow the initiative in Africa on 28 July, at an event in London. Smartphones allow users to essentially perform all the functions they might do at work, from editing documents and spreadsheets to browsing the Web, as well as tap into a wide range of third-party applications. That market is dominated by Apple and Samsung Electronics. Feature phones are much simpler and cheaper phones, with smaller screens that are mostly used for calling and texting. Japan’s Kyocera and Blue Products make popular feature phones today. When Facebook launched a Facebook Zero text-only entry six years ago, it reached out to phone companies to help make the product accessible. Local entrepreneurs are going down a similar path. MLouma, a marketplace for agricultural commodities out of Senegal that provides prices and availability data through text and voice, bulked up from a few thousand users to 75 000 through a distribution and co-development deal with Orange. The French carrier backed similar initiatives in Niger — a service dubbed Labaroun Kassoua — and another called Senekela in Mali. 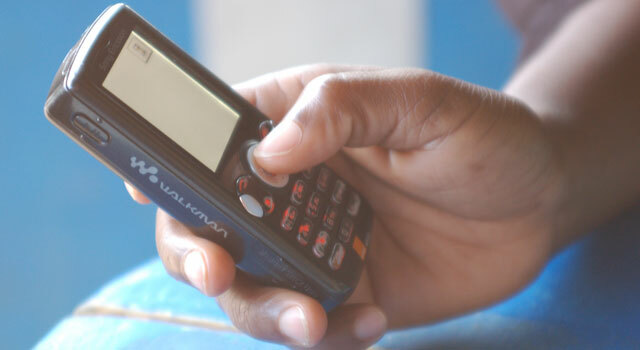 Vodafone teamed up with Novartis on an SMS for Life service that uses back and forth text messages to manage medication stocks at hospitals in Tanzania. In Senegal, Karangue sends text messages to families to remind them of regular doctor’s appointments and to have their children vaccinated. Consumers are typically charged on their prepaid phone account or monthly bill for these services, mostly on a per-use basis, and carriers cut a deal with developers to receive distribution fees or shared revenue. Though sub-Saharan Africa is the world’s least developed region for mobile, the area’s wireless subscribers add up to 400m, and 100m more will be added by 2020, according to estimates by wireless industry association GSMA. Handset equipment rates range from about one in five people in Burundi to four in five people in Botswana, and the portion of the population that owns a phone across the region is about one in two. In contrast, less than 5% connect to the Internet using a smartphone. Telecommunications carriers are organising start-up pitches in Africa and making parts of their network technology available for entrepreneurs to integrate their new services into. They’re also developing apps themselves. The more new services subscribers are attracted to use, the greater the potential phone bills each month. MTN Group, Africa’s largest mobile phone company, this year partnered with Zambian entrepreneur hub BongoHive and said it will sponsor local technology and provide access to its network’s assets to start-ups. Others, including Safaricom, Bharti Airtel and Vodafone Group, have made mobile payments platforms available to developers over the past year in countries like Kenya, Malawi, Ghana and Tanzania. “Those who think there’s no money to be made in Africa are wrong,” said Pierre Gattaz, head of France’s business lobbyist Medef. He created a digital ambassador role this year at the group, and appointed Olivier Midiere to promote French tech abroad. In some cases, it’s proving more lucrative than smartphones though, because of scale, said Arnauld Blondet, head of product marketing for Africa and the Middle East at the Orange Technocentre. “Text messaging has its limits — no pictures, short text… But it allows us to reach a much bigger crowd,” he said. Orange’s Football Fan Club application is a good illustration: the company started a text message service for soccer scores and stats across its markets in Africa, as well as a smartphone app that was downloaded about 300 000 times. It says the low-tech option generates more revenue, as customers query the platform through text message more than a million times each month. Developing new revenue streams and services in Africa through digital, mobile banking and the start-up ecosystem is one of the key points Orange will discuss at its London event this week. That means they’ll keep betting on old phones until smartphones take over. Previous ArticleHas Apple gone ex-growth? Think there are some discrepancies, this is more about there still being opportunity in older telco bearer channels than about this being feature phones. Due to data costs sensitivity even consumers with smartphones are using the older bearers as they are scared of the data costs and not being able to understand or control them. What they don’t say above is how many of the interactions were smartphones vs feature phones. The incorrect assumption is that this traffic is only happening on feature phones. Price of smartphones is plummeting so “feature phones” will be close to the price of the low end smartphones. Already talk of the $10 – $20 android phones.